As a call centre manager, recruiting people into your organisation is one of the most important things you will do. Fail to get this right and the chances are that you will have under-performing people, demotivation and high turnover. This is hugely costly in terms of further recruitment, training and poor service or lost sales. However, many recruitment campaigns are still ill-conceived, poorly planned and under-resourced. Having benchmarked and implemented recruitment best practice in call centres for the last 12 years, I suggest you ask yourself the following 10 questions before you embark on any campaign. 1. Do you really understand who it is that you are looking for? Write down the core competencies and skills set required for the particular role (this will vary significantly between the different types of jobs in a call centre) and then design your process around identifying people with these attributes. 2. Does your advertising really attract suitable candidates? Many companies fail at this first hurdle by trying to be too creative with the advert or over-emphasising non-competency-based criteria. For instance, many adverts are designed to promote what a fantastic place the company is to work at, or how great the benefits are, at the expense of saying what the job involves and the skills required to undertake it successfully. 3. Are you using the most appropriate media? 4. Who is going to be involved, and have you got the resource to do this properly? Hopefully, there aren’t any call centres out there who are not undertaking telephone interviews as part of the recruitment process. This is the most important part of the whole process, but can be hugely resource hungry and so is an area that is often cut back. To gain the best results you must answer calls from candidates as they come in and to achieve this on a campaign to recruit 10 people will require four people on the phone, at least nine hours a day, for the first two days. This can be scaled back over the next three days but still requires up to three people. Calling people back from Ansaphone messages or from CVs is not ideal and will most likely cause you to reduce the available candidates responding by 30% or more. There is then a second interview and the assessment centre, when you will need at least two and five people, respectively. It is this resource that many companies do not have, but is critical to the success of the campaign. Solutions to this problem may be to enlist the help of external companies or use some of the team leaders from the contact centre, but if you do the latter, be aware they will be away from their teams for a long period of time. Bear in mind that this whole process should take no longer than six working days, so the short-term pain will be worth the long-term gain. 5. How many telephone interviews are you going to have? Recruitment best practice is to have two. The first will be almost solely focused on testing the candidates’ communication skills, and those that are successful here will pass through to a second stage which focuses on more job-specific requirements (e.g. sales or customer service skills/experience, qualifications, career ambitions, understanding of the role, etc.). The second telephone interview has a huge impact on the future loyalty of recruits. 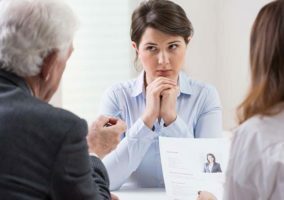 You may well lose some good candidates here, but don’t worry, they are probably the ones who would have left fairly soon after starting in any case. 6. Are you going to run Assessment Centres? You will only maximise success if you carefully measure each candidate against the core competencies and skills required for the job. These need to be cross checked in a number of different scenarios. This cannot be done through simply having a face-to-face interview. 7. What will the Assessment Centre involve? Accepting that the objective of the assessment centre is to assess each candidate against the skills required to undertake the job successfully, a number of exercises should be used to do this. Ideally this will involve group and teamwork exercises, telephone role-play, including data entry, numerical and verbal reasoning tests and a face-to-face interview. There should also be an opportunity to view the environment where they will be working if successful. 8. Have you got a qualitative assessment system to score the interviews? There is no point undertaking telephone interviews and running assessment centres if you are not going to score the exercises fairly and consistently. It is a sad fact that too many companies still rely too much on gut feel. The first step is to decide exactly what you need to measure, design the whole recruitment process around that, and then draw up a scoring system which will measure each candidate against exactly the same scoring criteria. 9. Do the people undertaking assessment have the necessary skills? Develop a scoring system that has rigid instructions on how to score. This should make the process objective rather than subjective. Everybody who is involved in the telephone interviews or on the assessment centres will then need to be trained in using this model. Ideally you will have somebody available to audit the scores at assessment, and telephone interviews should be listened to and checked as well. It simply will not work to pull somebody in from the call centre who has no experience of the process you are using, and the scoring associated with it; in fact it will flaw the whole system. 10. Have you stuck rigidly to this process, regardless of cost or resource involved? If you follow this process to the letter you will get higher quality recruits and lower staff turnover (provided your call centre is properly managed!). Each time you cut a corner or miss out a part of the process it will diminish your results; I have seen this so many times that I guarantee it to be true. Whatever the cost of the process, it will be far cheaper than recruiting unsuitable people or having high levels of staff turnover. 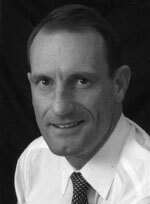 Clive Harris has worked in the call centre industry over 20 years and is presently Managing Director of Specialist Call Centre Services, a company who are experts in the contact centre market. They provide consultancy, training and recruitment services to call centres large and small. If it is so basic, how come so few operations are actually following this process, which has been benchmarked as best practice by leading Call Centres? When it comes to recruitment nearly everybody thinks they know better. Perhaps that is why the Call Centre industry has such ridiculously high attrition levels.